Here is the list of best free GPU Monitoring software for Windows. These free software let you monitor Graphics card performance installed on your PC by providing accurate data along with real time statistics. Some of these software also provide information related to other hardware of your computer, like: CPU, Motherboard, RAM, HDD, etc. You will also get the data of peripherals in some of these software. With the help of these software, you can keep a record of all the performance statistics of GPU, hence, you can keep an eye on your computer’s performance. These GPU monitor software give information about Graphics card’s brand, BIOS version, GPU temperature, GPU fan speed (which lets you know whether the fan is working properly), Driver Version, GPU clock, etc. One of these graphics card performance monitor software helps you monitor the performance of graphics card during gaming mode. CAM is my favorite GPU usage monitor software for Windows. The interface of this freeware is very handy. It plots a graph of statistics of any 2 hardware at a time. Moreover, you can view these graph in minute, hour, day, or week view. One reason that I like this freeware is that it shows you the performance of your computer during gaming mode, hence, it is one of the best GPU monitoring software for gamers. Another interesting feature of this software is that it provides you message alerts every time your system performance goes slow, and in the message box, you will also find out the way to sort out that problem. Go through this list of best free GPU usage monitor freeware to know more about them and install the one you like. You may also like these best free Epub to Mobi Converter, TIFF To PDF Converter, and CPU Usage Monitor Software. CAM is one of the best free GPU Monitoring software for Windows. This freeware provides you the information of Graphics card installed on your PC and the statistics of other hardware of the computer like CPU, memory (both RAM and ROM), motherboard, etc. On the Dashboard of this software, you will find three modes: Basic, Advanced, and Expanded. The Basic mode of this software provides an overview of GPU and CPU statistics. Here, you can view the temperature of GPU and CPU (in degree Celsius), Load on GPU (in %), RAM and ROM consumption on your system, and more. The Advanced mode provides a detailed statistics of GPU and other parts of a PC. Moreover, it also plots a Temperature vs Load graph of GPU and displays the minimum and maximum values of temperature. An interesting feature of this free GPU monitor software is that you can view the stats of any two hardware of PC at a time. The Expanded mode is almost same as the Advanced mode. The only difference is that it also provides hardware specifications along with statistics. This free GPU Monitoring software is best for game lovers, as it can monitor the performance of Graphics card during gaming mode. The Build tab in this free GPU usage monitor software provides you build information of different hardware of your computer. You can view here the model name, manufacturing brand, code name, etc. The message box alerts you every time when the performance of your system is affected by any factor. The best part of this freeware is that it comes with a night mode feature which lets you view all these information in dim light without straining your eyes. GPU-Z is another free GPU monitoring software for Windows. This freeware provides you all the information related to your Graphics Card installed on your PC. It also provides the statistics of sensors along with the graphical representation, which makes the process to be understood easily. Have a look at the data provided by this software in various aspects of Graphics card. You can view the card name along with its release date and disc size. It also lets you know the BIOS Version, Device ID, Pixel Fillrate, and Texture Fillrate. The total memory size along with its type is also displayed by this free GPU usage Monitor Software. If you require more information of Graphics card, like Driver Version, GPU Clock speed, etc., then this information is also displayed by this software. Sensors: In this tab, you will find the information related to the sensors, like GPU Core Clock, GPU Memory Clock, GPU Temperature, GPU Load (in %), Memory Controller Load (in %), etc. In this tab, you will get data with graphical representation. It comes with an additional feature, by which you can take a screenshot of the data and upload it to a server or save it on your computer. Geeks3D GPU Shark is another free GPU monitoring software in this list. Here you will get all the data related to your Graphics card installed on your computer. It provides information in two modes: Simplified mode and Detailed mode. The simplified mode of this software provides only a brief information about the Graphics card. If you want to get a detailed information regarding Graphics card, you should switch to the Detailed mode in the File menu. It is a portable software, i.e. it does not require any installation on your system. You can monitor the Base Clock Speeds, Boost Clock Speeds, GPU and Memory usage, GPU Temperature, BIOS Version, GPU Memory Size and its vendor such as SAMSUNG, Intel, etc. of your Graphics card. It comes with tools, which let you know GPU Memory info. You can also submit GPU performance report to GPU Database. Moreover, you can copy the whole GPU Data to the clipboard. You can also reset the minimum and maximum values of GPU whenever required. 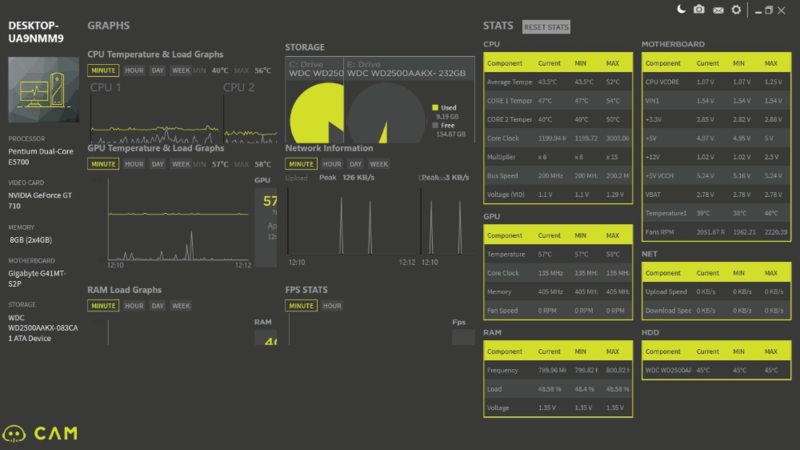 Open Hardware Monitor is a free GPU Monitoring Software for Windows that not only provides the information of Graphics card, but also provides the information of CPU and memory usage of your system. You can view CPU clock speed, CPU temperature and Load, Used and Available Memory, GPU Memory, GPU Clock Speed, GPU Temperature, etc. For easy understanding, you can read all these data on a graphical pattern by enabling the Show Plot option in View menu of the software. Also, you can set the location of this plot on your computer’s screen. It also provides the information regarding sensors. The temperature is displayed in degree Celsius by default, you can change its unit to degree Fahrenheit. You can also select whether to show the hidden sensors. Reset the report anytime by clicking Reset option in the File menu. If you want to save the whole report of your Graphics card for future reference, that option is also available in this CPU usage monitor software and if you click on the Submit Report, the report will be uploaded to its server. 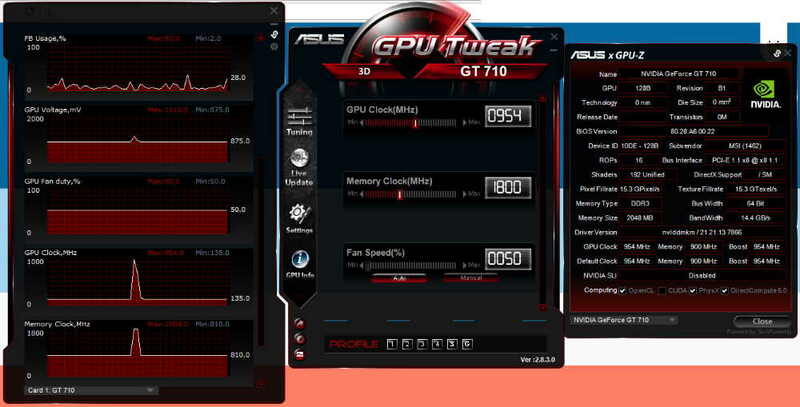 CPU-Z is a free GPU performance monitoring software which lets you monitor the statistics of Graphics card. Besides this, you can also take a look at the specifications and statistics of CPU, Motherboard, and Memory. Below is the information that you will get from this freeware. The CPU section of this software displays the information of CPU, like Clock Speed, Bus Speed, Family, etc. In the Mainboard section of this freeware, you will get information about Motherboard. The type of RAM along with its size is displayed in the Memory tab. Graphics: This tab provides the statistics and specifications of Graphics card that you have installed on your PC. You can view the name of your GPU, its manufacturing brand, code name, and technology used. In addition, it also provides you the information of clocks and memory of your Graphics card. You can check for the driver and BIOS updates by clicking tools button. It also lets you save GPU usage report in TXT and HTML file format. GPU Temp monitors the Graphics card of your PC and provides you the information related to that. 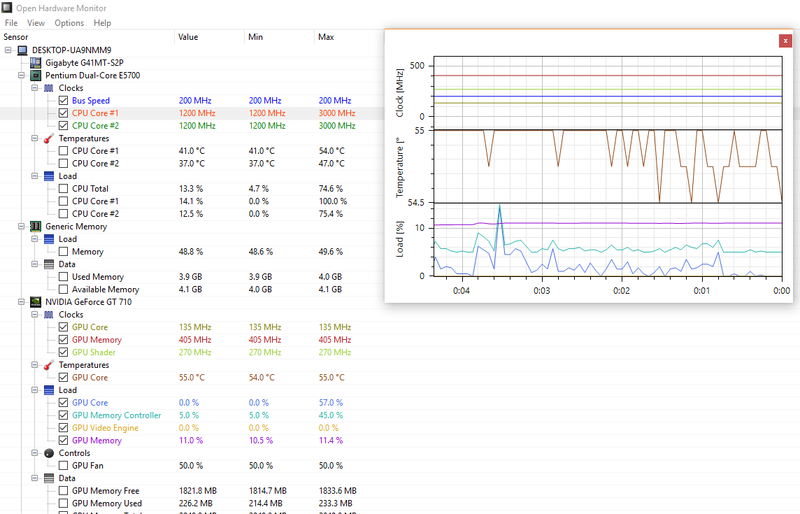 This is a simple GPU monitoring freeware in which you get important stats of GPU, like temperature and load. It comes with Start with Windows feature, enabling which, it starts every time when you start your system. Temperature: This section displays the temperature of GPU. It also plots a graph of the temperature, which varies with time. You can also change the color of the temperature plot to be displayed on the graph. Load: It displays the load (in percentage) on GPU Core, GPU Memory Controller, GPU Video Engine, and GPU Memory. NOTE: In this free GPU Usage Monitor software, temperature is displayed only in degree Celsius, i.e. you cannot change it to Fahrenheit or other units of temperature, such as kelvin. The developers of CPU-Z bring you another GPU Monitoring software, CPUID Hardware Monitor. It lets you monitor the statistics of GPU and the information related to CPU and hard drive of your computer. It displays the real time values along with minimum and maximum values. You can view the temperature of CPU, speed of fans (in RPM), temperature of motherboard, temperature of GPU along with its utilization, etc. Moreover, you can also view the memory consumption of GPU (in %). The best part of this free GPU Monitoring software is that it displays temperature in both units (degree Celsius and degree Fahrenheit) together. It also shows the utilization of disk storage space. If you have connected a flash drive to your system, this freeware displays the total space consumption of that flash drive in percentage. 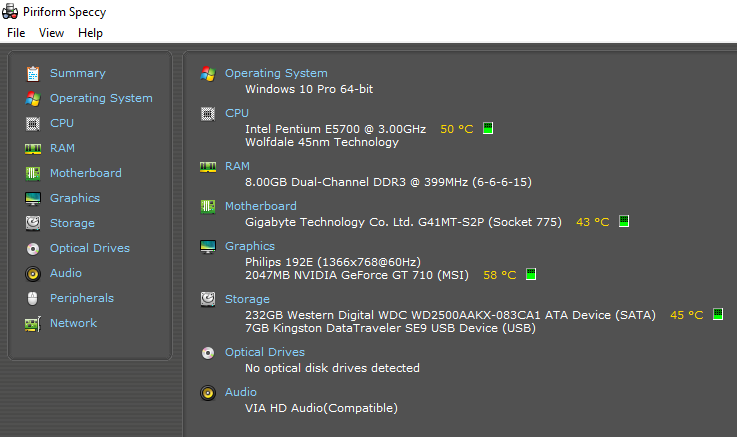 Piriform Speccy is a free GPU Monitoring software for Windows in this segment. In this GPU usage monitor software, you can view the detailed information of CPU, Graphics card, Motherboard, Memory, and other peripherals connected to the computer. Let’s have a look at the information provided by this free GPU Monitoring software. Graphics: Here you will get all the information about your computer’s graphics card. It displays the brand name of Graphics card that you have installed on your computer, its current performance level, current GPU clock frequency, current memory clock frequency, BIOS version, driver version, and more. The best part of this GPU Monitoring software that I liked is that it displays the temperature info by a different color, so that you can easily recognize it. Operating System: In this section, you will get all the information related to the OS of your PC, like Windows version, Windows installation date, Firewall Security, Antivirus, versions of .NET frameworks installed, etc. CPU: This section will update you about your CPU by displaying its stats, like Current and Rated Bus speeds, Core speeds, CPU threads, CPU temperature (in degree Celsius), Fan speed, etc. RAM: As the name indicates, here you will get the information of RAM, like no. of memory slots, type of RAM, its capacity, cycle time, etc. In the Peripherals section of this freeware, you will get all the details of external devices connected to your PC, like keyboard, mouse, printer, etc. Save and load snapshot options are available in this software. After taking a snapshot, you can save it on your PC or publish it on server. You can save a report as an XML or a TXT file. You can also take a print out of any report. It is available in more than 10 languages which include English, Spanish, French, Chinese (simplified), Japanese, etc. 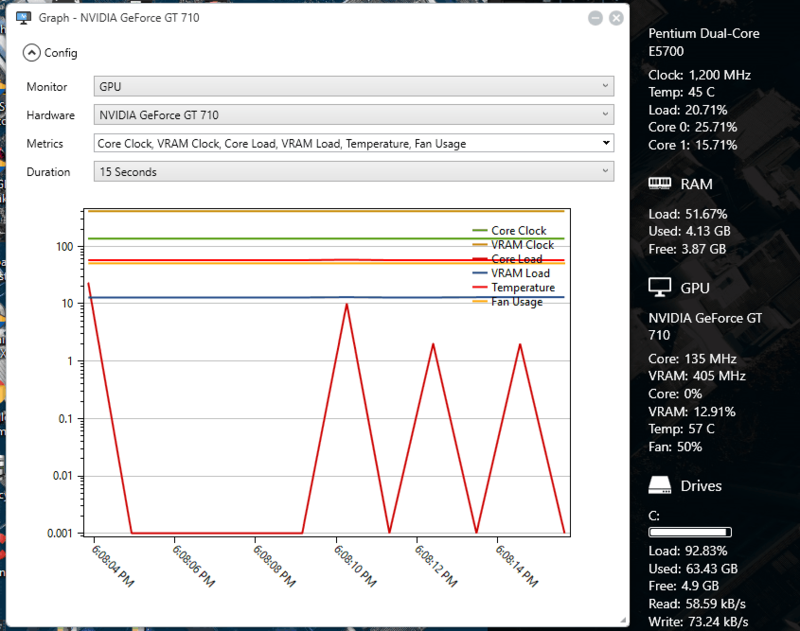 GPU Monitor is a free Windows 10 widget for GPU Monitoring. As it is a Windows 10 widget, and by default is placed on the right side of your desktop, so that you can keep an eye on the statistics of your Graphics card. It comes with a number of widgets that you can run on your PC. To add Widgets on your desktop, just click on the Plus button and it opens a windows containing widgets, from where you can add widgets on your computer’s screen. 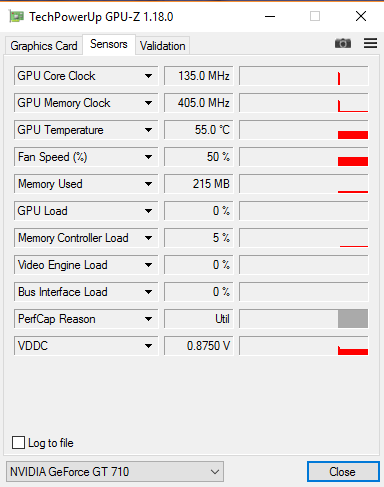 The GPU meter widget of this software displays GPU Clock frequency, GPU temperature (in degree Celsius), consumption of memory by Graphics card, Fan speed in RPM, etc. Other widgets include Drives meter, Drives monitor, All CPU Meter, Glassy Meter Monitor, etc. These widgets display the real time data along with graphical pattern. This is a very simple and light weight widget for GPU Monitoring, which is good for keeping a record of basic information of computer hardware and Graphics card. Unlike other GPU usage Monitor software in this list, it does not show a detailed information of GPU and hardware of your PC. Install GPU Tweak, free GPU Monitoring software on your PC and keep an eye on the performance of your Graphics card. This freeware comes from the house of ASUS. Like other GPU monitoring software in this list, it also shows the stats of Graphics card, so that you will remain up to date with GPU. It comes with a beautiful skin pattern that makes it attractive. You will get real time statistics of GPU temperature, GPU usage (in %), VID usage, GPU voltage (in mV), GPU fan duty cycle (in %), GPU clock frequency, etc. It also plots a graph of GPU statistics. A unique feature of this freeware is that if you hover your mouse over the graph plot, you will get values at every point with respect to time. Moreover, it also displays the minimum and maximum values in every graph. Tuning: This is an advanced feature of GPU Tweak. Here you can tune the GPU Clock, Memory Clock, and GPU fan speed, but I suggest you tune graphics card only if you know what you are doing. You can either tune fan speed manually or set it to auto mode for self-tuning. Click on GPU info in the software and get a detailed information of your Graphics card like Bus width, BIOS version, Pixel fillrate, Memory type, Memory size, etc. Sidebar Diagnostics is a simple sidebar for Windows, which displays statistics of Graphics card, so that you can analyze the performance of Graphics card installed on your PC easily. In addition, it also updates you about the other hardware of your computer, which include CPU, RAM, ROM, etc. This sidebar is put on the right side of your desktop, without interfering with yiur work area. So, it updates you about the performance of your PC and Graphics card, even when you are working on your computer. Scroll up or down to view the statistics of different hardware, like CPU, GPU, Memory, etc. The CPU section provides the information related to CPU, like its brand name, its model number, clock frequency (in MHz), CPU load (in %), etc. In the GPU section, you will find the information regarding Graphics card, like its brand name and model number, core frequency, fan speed (in %), GPU temperature (in degree Celsius), etc. Graph: It shows a detailed graph of different hardware of your computer. Each factor in the graph is displayed with a different color, which lets you recognize each factor easily. You can also customize the graph as per your need.